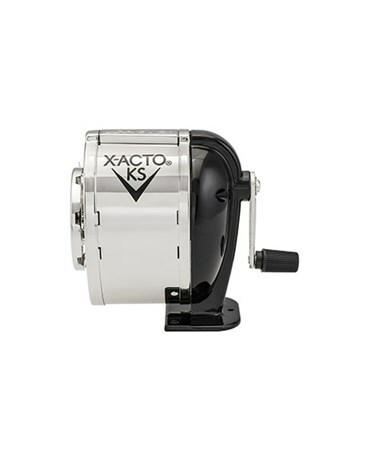 The X-Acto KS Manual Pencil Sharpener is built for precision and durability. It has two hardened steel helical cutters that offer blade life 33 times longer than a standard sharpener without regular maintenance. 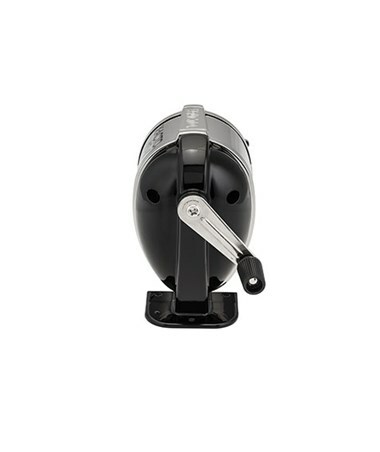 The dual cutting action allows faster and efficient sharpening to achieve the desired sharpness. 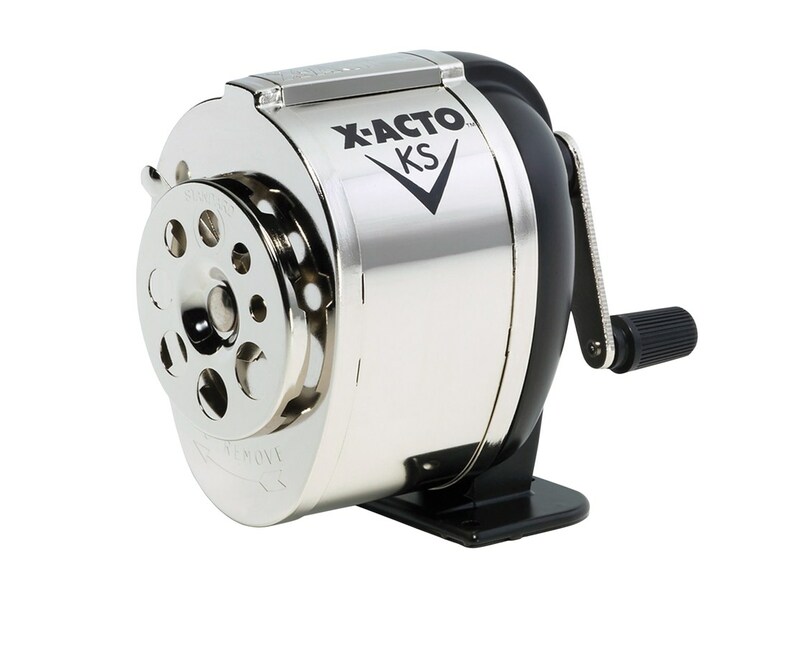 Specifically designed for classrooms, this all-meal manual pencil sharpener can withstand heavy-duty sharpening. It has a die-cast metal base to provide maximum stability. 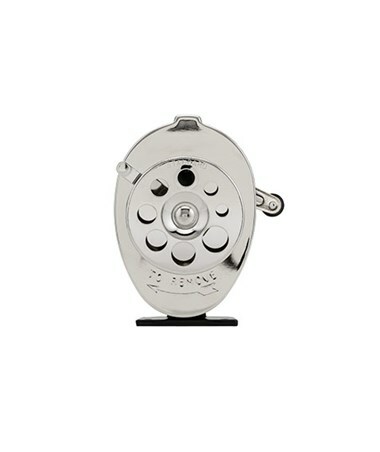 Its large nickel-plated shavings receptacle accommodates high-volume shavings to prevent frequent emptying. It features an eight-hole selector dial to handle a wide array of pencil sizes. 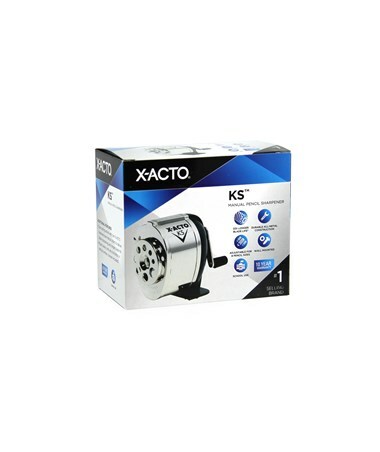 The X-Acto KS Manual Pencil Sharpener can be easily mounted on walls, desks or tables. It includes four screws for simple installation. 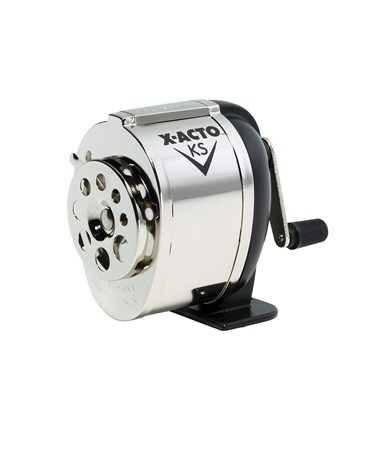 Sturdy and versatile, this traditional pencil sharpener is ideal for classrooms, offices and homes.